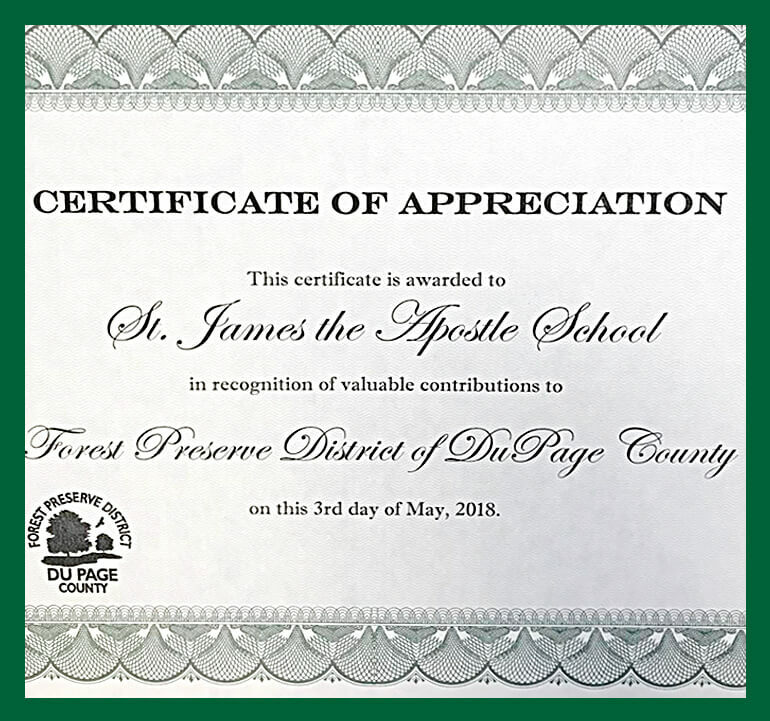 The Forest Preserve District of DuPage County selected St. James the Apostle School to honor at their annual volunteer appreciation celebration. On Thursday May 3, SJA was acknowledged for our hard work and dedication to their programs over the past five years. Mrs. Albrecht received the award on behalf of the St. James the Apostle Community. We are humbled by this recognition, as we do our service not for the awards but for the reward it provides others.